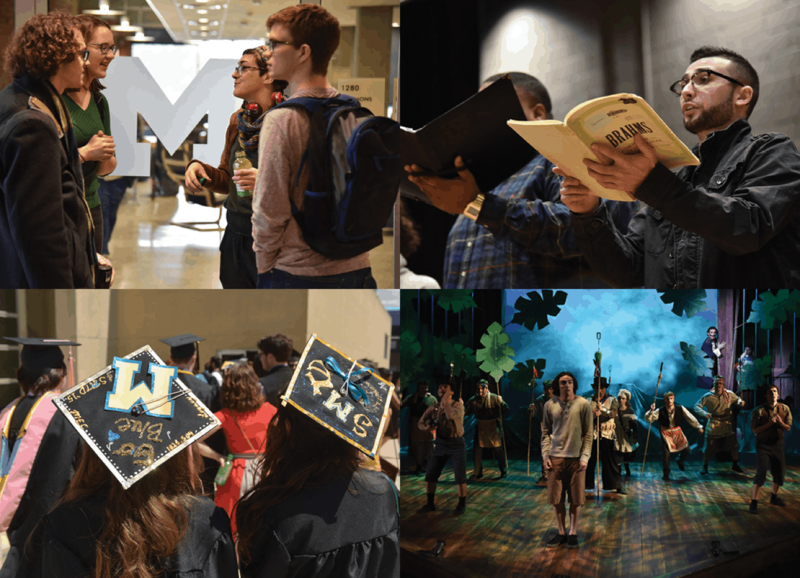 The musical world is full of diversity and uncertainty, and students will make many career choices upon graduating from the University of Michigan School of Music, Theatre & Dance. Students should graduate as analytical, thoughtful, and competent musicians ready for whatever situation presents itself. As saxophonists and music educators, students will develop a complete, thorough knowledge and competency of the repertoire and pedagogy of the saxophone–which will serve as the foundation for their artistry. It is expected that each student, through lessons, performances, studio class, ensembles, and assignments, strives to reach full musical potential. 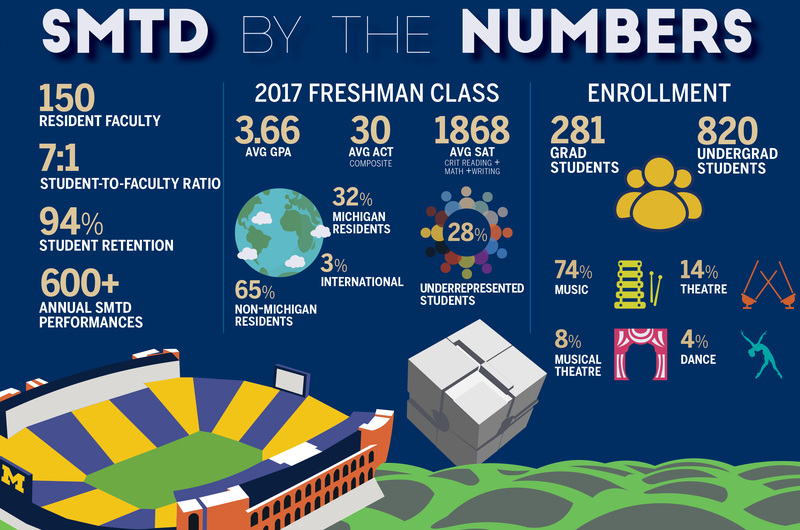 A student’s development at Michigan is not simply confined to this campus–it is part of a larger musical community, keeping pace with industry standards by engaging in a strict practice regimen, and striving for excellence in musicianship and scholarship. Each lesson is graded on the basis of preparation and evidence of one week’s growth in the practice room. Material for lessons will be chosen to suit each student’s needs and respective level. Practice must be consistent and efficient, and the student is expected to spend a minimum of 2.5 to 3 hours a day in the practice room. 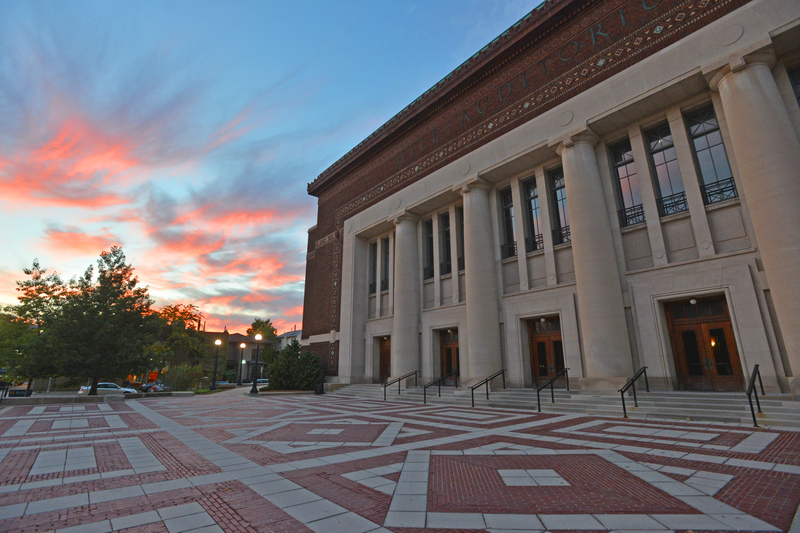 All students enrolled in lessons must participate in a major, conducted ensemble, such as the U-M Symphony Orchestra or Symphony Band, unless waived for approved reasons. Saxophone quartets meet twice a week—one hour for coaching and one hour for individual rehearsal. Ensemble grades are based on attendance and work ethic, treating every chamber music experience as any professional would. Each sax quartet will receive one coaching per term with our new chair of Chamber Music and Multi-GRAMMY Award-winning artist, Matt Albert, formerly of the ensemble, Eighth Blackbird. Opportunities for student saxophone quartets include saxophone ensemble concerts, departmental wind chamber music recitals, participation in School-sanctioned outreach programs, degree recitals, local and national competitions, regional and national conferences, and more. Saxophonists are required to perform a Repertoire Jury for the woodwind faculty in a non-recital semester and when passing between course numbers. Jury performances are recorded as a final exam for studio lessons. To pass Jury I, the student must show technical competency in the skills, etudes, and piece and possibly sight-reading. The student must also demonstrate a characteristic saxophone tone, careful intonation, musicianship, and control. Control must be shown in areas such as articulation, dynamics, technique, tone and vibrato. In the jury performance, the student must show musical expression and an ability to relate the saxophone part to the accompaniment. To pass the Jury II, the student must show a maturing knowledge of the instrument. The level of control and musicianship as well as the difficulty of the repertoire should be significantly beyond that required of Jury I. Areas such as intonation. ensemble, flexibility, and musical understanding will begin to take precedence over basic technique. In addition, the saxophone student must demonstrate competency on the basic skills outlined through YEAR TWO. A performance student that passes the Jury II Repertoire Jury is eligible to perform a junior degree recital the following year as SMTD scheduling/space allows, and will be admitted to junior standing. A music education student who passes Year II juries is eligible to perform a shared or partial non-degree recital as SMTD scheduling/space allows, and will be admitted to junior standing. *If this jury is failed, a student may be dismissed from the SMTD Sax Studio. To pass Jury III, the student should demonstrate a high level of technical facility, a commanding presence and musical conviction. The level of repertoire should be very demanding and should show that the student has complete command of the instrument. An ease of expression and an ability to make the music come “off the page” is what is required to pass Jury III. In addition, the saxophone student must demonstrate competency on the basic technique skills outlined up through YEAR THREE. This must be done before the musical evaluation, and will be done on a one-on-one basis in the saxophone studio. A student that passes Jury III is eligible to perform a partial recital or full Degree Recital. The woodwind faculty will determine the student’s potential to present the Degree Recital during the senior year. 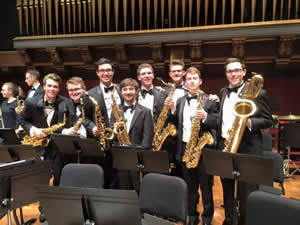 Each semester the student may be given small assignments involving repertoire, recordings, pedagogy, chamber music, orchestral music, or other topics related to the saxophone. Any assignment will count towards studio participation grade. Participation in a jazz ensemble for at least one semester is strongly encouraged. Students take advantage of the courses and activities that the Jazz and Improvisation department provides. Q: Do all students get to study with you? TM: All music majors in all degree programs declaring saxophone as their major instrument will be a member of the U-M Saxophone Studio and receive lessons from me. In some cases, particularly when saxophone study is a secondary degree or minor area, a student is assigned to the Graduate Student Instructor for private instruction. Q: How often do lessons occur, and what is the duration? TM: All saxophone majors will receive one lesson each week. Students pursuing music performance or music education will receive a 50-60 minute lesson; and bachelor of fine arts majors or saxophonists pursuing a minor in music, as well as majors in other areas declaring saxophone as their primary instrument, will receive a 30-minute lesson, usually with the Graduate Student Instructor in saxophone. Q: What material is covered in lessons? TM: Lessons extensively cover all aspects of music and saxophone fundamentals, including tone, technique, intonation, flexibility, articulation, and range, as well as relaxation techniques, learning strategies, and critical-thinking skills. One to two etudes are to be prepared each week, and progress is assessed towards a work (or works) chosen from Dr. McAllister’s Recommended Literature List. Listening and reading material will be assigned as time permits. I work closely with each student to design an appropriate curriculum suited to their individual strengths and weaknesses. TM: Although my career has centered around classical or concert music, I am a strong advocate of jazz music/education and have had considerable experience in this area in my life. As professional musicians, we must be conversant in multiple styles, but basic musicianship cannot be ignored, which means having fantastic ears and equally fantastic chops. For me, this is what lessons are about. Jazz assignments–-including etudes, transcriptions/tunes, tone development and technical exercises–-will complement regular lesson material; however, given the school-wide jury requirements and degree recitals at the completion of each semester, the primary focus in lessons is classical instruction. I highly encourage my students to take advantage of courses that exist in the Jazz Department, including jazz pedagogy, jazz improvisation classes, jazz bands, small combos, jazz keyboard, arranging, and more. Saxophonists enrolled as Jazz and Improvisation majors will receive private instruction from Professor Andrew Bishop. Q: What opportunities exist for chamber music? TM: Chamber music definitely plays an important part of the music major experience here at Michigan. Apart from large ensemble requirements, most saxophone majors will participate in a saxophone quartet (SATB), a small ensemble coached weekly, throughout the Department of Chamber Music. 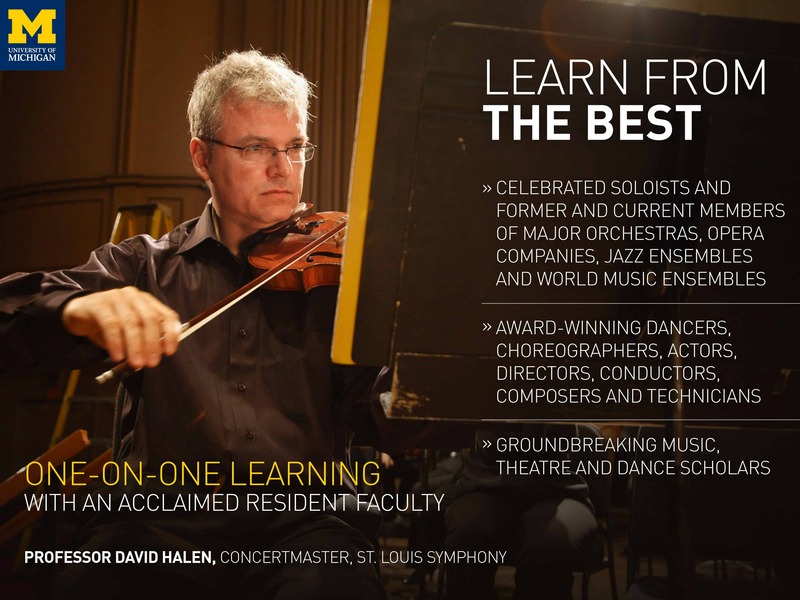 This provides students a chance to develop skills on instruments other than alto (on which most students specialize), and each quartet has the opportunity to perform on the Saxophone Studio Recitals (2-4 times a year), the Saxophone Ensemble concerts, or Wind Department Chamber Recitals (3-4 each semester). Quartets having reached a significant level of maturity will have the opportunity to participate in local, regional, and national level chamber music competitions. Our highly competitive saxophone quartets have access to funding through the EXCEL Career Development Program, as well travel opportunities for performances throughout the Midwest and Detroit/Ann Arbor metro-region. Laurence Lyon (Larry) Teal earned a bachelor’s degree in pre-dentistry from the University of Michigan. Although he came to U-M to study dentistry, he soon became involved with Wilson’s Wolverines–a jazz band with a more than local following. He toured Europe with them for several years, returning to the U.S. only to be recruited by Glen Gray’s Case Loma Orchestra of Toronto, one of the important society orchestra of the period. He later earned a doctor of music from the Detroit Institute of Musical Arts in 1943. Teal carved out his own niche in Detroit’s musical life. He was a member of radio station WJR’s live studio orchestra as well as a member of the Detroit Symphony Orchestra (DSO) from 1943 to 1964. Not only did he play saxophone, as one might expect, but he also performed on clarinet and was the DSO’s first desk flutist, a rare enough feat then and almost unheard of now. Additionally, he opened his own music studio and staffed it with players from the orchestra. It became one of the most reputable, demanding, and prestigious of its kind in the country. His studio was near Wayne State University, where many high school and college students studied saxophone. Don Sinta was one of those students, and was considered a saxophone virtuoso by many during his time as a music major at Wayne State. Teal was highly sought after as a professional musician by both classical and popular musical organizations. During his 21 years at the University, Teal taught more than100 college saxophone students, many of whom went on to become successful teachers and performers. In this way he had an unusual degree of influence over the direction and quality of classical saxophone teaching in America. Teal was not only a significant figure in the musical life of Michigan in this century, but also one of the single most important figures in influencing the music world to accept the saxophone as a “legitimate” instrument. 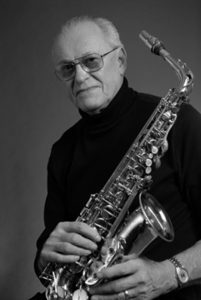 Donald J. Sinta, the Arthur F. Thurnau Emeritus Professor of Music (saxophone) in the U-M School of Music, Theatre & Dance, was formerly on the faculties of the Hart School of Music and Ithaca College. He has been active for decades as an acclaimed soloist and clinician throughout the United States, Asia, and Canada, and enjoyed a 40-year tenure at Michigan before retiring in 2014. Sinta has premiered more than 40 works by major American composers, and in 1969 he was the first elected chair of the World Saxophone Congress. He is the former director of the All-State Program at Interlochen, the Michigan Youth Ensembles Program, and the SMTD MPulse Saxophone Institute. 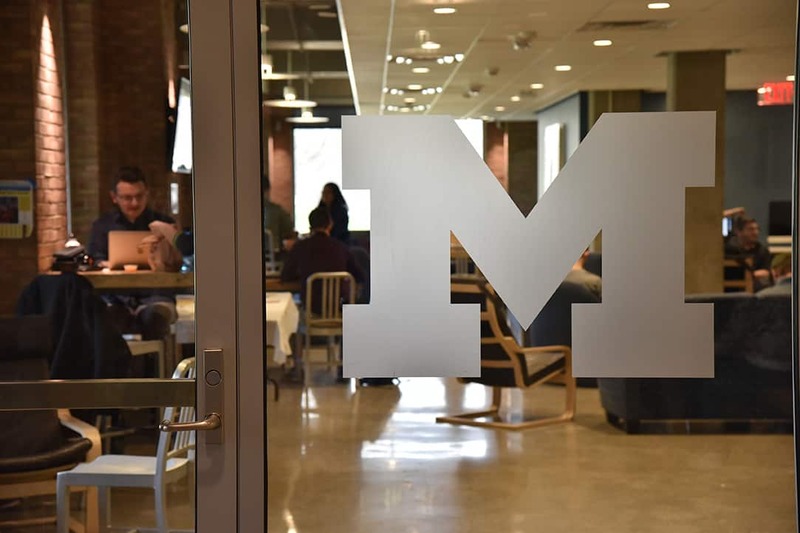 In addition to the Moore Professorship, Sinta held an Arthur Thurnau Professorship at Michigan for outstanding instruction at the undergraduate level. Having taught hundreds of saxophonists, many of whom have enjoyed decorated teaching careers themselves, Sinta’s teaching concepts and ground-breaking work in altissimo pedagogy have influenced countless performers and teachers in the U.S. and abroad. Sinta can be heard on recent recordings of William Walton’s Façade with the Lincoln Center Chamber Players and George Crumb’s Quest with Speculum Musicale of New York City, as well as several recordings with the Detroit Symphony Orchestra on the Chandos label. Currently in re-release, his recording American Music for the Saxophone for Mark Records is known throughout the world. Many Michigan saxophone alumni have enjoyed impressive achievements, ranging from highly successful performance careers to college professorships. Being a part of our studio will not guarantee your future success, but it will provide you with an education that has produced some of the best performers and teachers of our time. Please contact Dr. McAllister to set up a trial lesson as part of your campus visit.